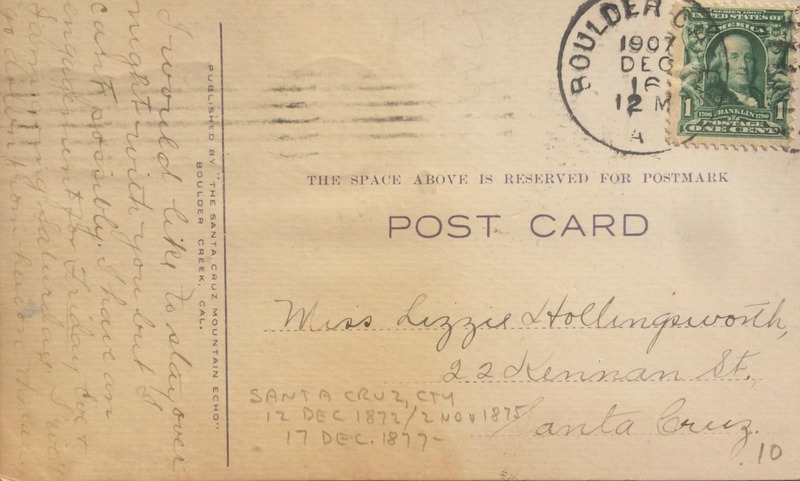 This Post Card was sent from Boulder Creek to Santa Cruz 109 years ago this month. December 16th, 1907The simple message “Sorry I can’t stay the night, I have to catch a train.” Something that we we would easily send off in a text message today, took planning, shopping, a stamp and a trip to the post office 100 years ago. This postcard, more than any other I have found, really feels like a text message from the past.